Did you happen to see the story about the Indiana eatery that really wanted to put a fun and profitable spin on the Jonestown Massacre? Yeah, that's the billboard these cretins had posted all over the city of South Bend, Indiana for two weeks. Then somebody reportedly complained and suddenly it wasn't such a cute, catchy pitch after all. So they mercifully pulled down these atrocious ads. "Our role is not to be controversial or even edgy. We want to be noticed — and there's a difference," remarked Jeff Leslie, Hacienda Restaurant vice president of sales and marketing. "It went the wrong direction, hit a nerve, and we have come to realize we should not have done this billboard. 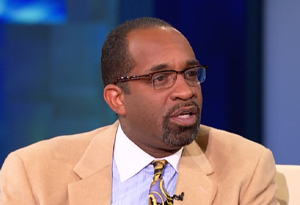 We lose the core message." You "lose the core message," eh? I'd say the next best thing would be for you and anyone that approved that to lose, oh, how about your job. Better yet, since the owner surely had a say in this, why not diners just boycott this stinking company into bankruptcy. That's the very least they could do. Yes, Jeff, there IS a fundamental difference between being noticed and exploiting this unspeakable tragedy for profit. I guess I can sort of understand what would tempt you and your fellow knuckleheads to play on this. After all, it is a part of our lexicon now, isn't it? You hear it everywhere. "They really drank the Kool-aid on that one....We had to drink the Kool-aid, people....Oh, no, don't drink the Kool-aid yet....!" And sadly, with so much passage of time, there are too many people alive today with no memory of how truly agonizing it was to experience November 18, 1978, that event that took more American lives in a non-natural disaster in history, until the cataclysm of 9/11. Anyone who's followed this "item" since then or happened to see coverage a few years ago of the 30th anniversary of the mass murder of over 900 men, women, children, and babies will understand. 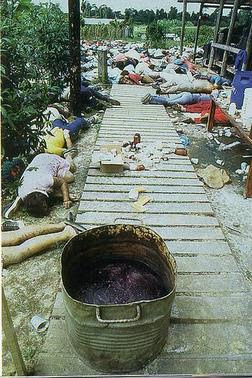 The woman in the purple plaid dress is Jynona Norwood, weeping over the loss of 27 members of her family to a demon named Jim Jones and his gang of killers. 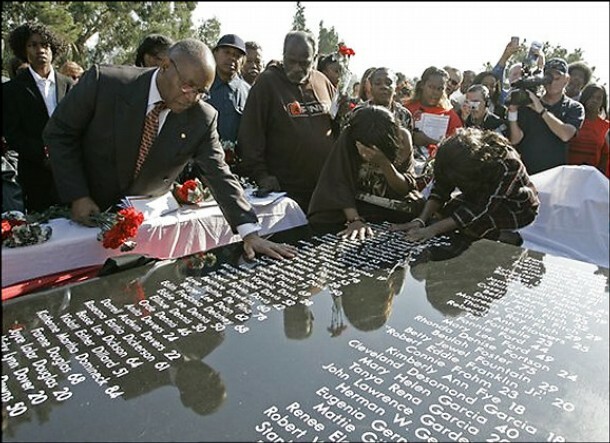 They were unveiling the first panels of what was to be a memorial wall at the Oakland, California cemetery where nearly half of the People's Temple dead are buried together in a mass grave. 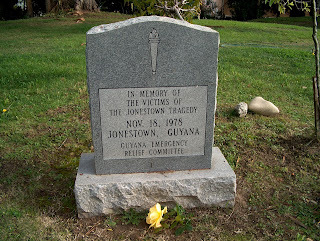 Of course, that ultimately will segue into another scandalous issue, involving a rival group of Peoples Temple survivors & relatives lead by Jim Jones, Jr., who want to build a separate Jonestown Memorial. Jones, Jr. is the son of the cult beast that robbed all those people of their lives. "I'm Jim Jones Jr.," he told Oprah Winfrey in an appearance last year, "I'm the African-American son that was adopted in Indiana by a Caucasian family. I'm part of an organization that tried to build a new world. Nine hundred people died, and I miss them every day. But I also recognize that they tried. They tried something—they failed horrifically—but they tried, and out of that, I've taken a lot of pride to realized that I'm Jim Jones Jr. I can't hide from that." "Build a new world"?? As in, oh, a kind of Brave New World, where entire families were brainwashed, threatened, extorted out their life savings, abused, beaten, and then slaughtered like cattle at "Dad's" command? No, what Jones, Jr. is promoting is about the worst kind of cult apologists tripe one could imagine. 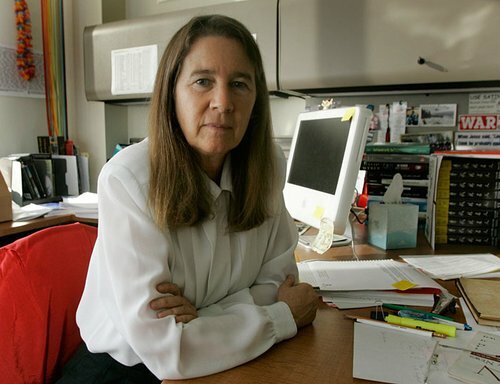 Not much different than what "New Religious Movement" Prof. Becky Moore likes to preach. 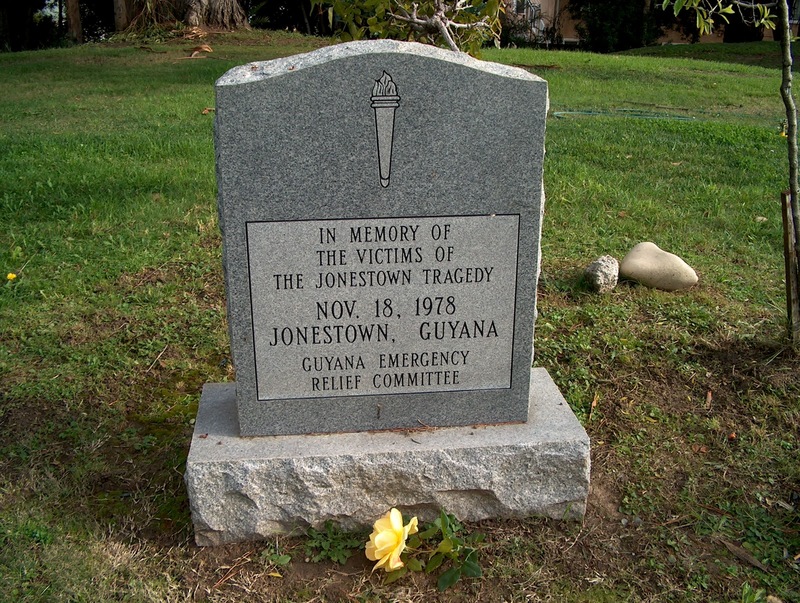 Not that he or she (the latter who wasn't even in the cult) should bear guilt over what occurred in Guyana by any measure. What they need is the simple courage and honesty to finally admit the reality of Peoples Temple was that it was one of the most destructive cults in American history. Instead, they and other Temple apologists continuing attempting to white wash the horror and make excuses. Astounding things, like claiming it was Cong. Leo Ryan that was the real culprit, along with all the other "apostates", for pushing Rev. Jones over the edge. Apostates, by the way, is the convenient little denigration that Becky slams into those lucky enough to escape the cult and try to rescue their family and friends still held captive in Jonestown. But like Jim Jones, Jr., Becky's got some emotional baggage that she too wants to "recondition." 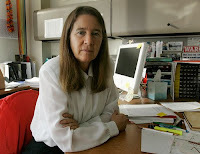 Being the sister of two of Jones's own personal mass murderers, Annie Moore and Carolyn Layton, and daughter of one of the cult's key disinformation men, Rev. John Moore, would explain that. But it'll never, ever justify layering the truth with revisionist fantasies. Not one bit. They don't even want to call it a "cult," because that would suggest that something was fundamentally wrong about a group of people swirling in depravity, thanks to "Dad" Jones's expert thought reform and skilled terror tactics. Ironically enough, Jim Jones got his start in the state of Indiana, the very same state where this deplorable restaurant chain currently resides. Would this, then, be a case of poetic justice? 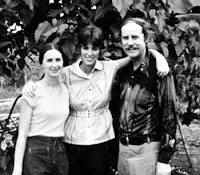 That's the nice sanitized send off remark, "poetic justice," that Becky Moore went on record to describe how her Jonestown executioner sisters met their end after they made sure all the adults, children, and babies were dead either from gunfire or the utterly agonizing cyanide--almost all of which was forcibly injected. Which brings us to a really significant question. Norwood worked very hard to try to get the Memorial Wall constructed but has still come up short for cash. 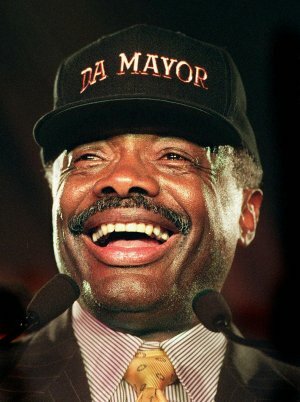 This really ought to be paid out by some of Jones's surviving San Francisco collaborators, such as the highly despicable former mayor Willie Brown and Glide Church pastor Cecil Williams. Jones couldn't have pulled off the crime of the century without them. They have blood on their hands but still couldn't care less about washing it off. No, just keep smilin', Willie. Enjoy the millions of dollars you stashed away. But there's yet another very important question burning into the conscience, for those that still have one. Should this monstrosity's name actually be placed side by side on a memorial designed to honor his victims? And for that matter, should any of those killers, Annie Moore, Carolyn Layton, Larry Schacht, and the others that worked so diligently for him also have their names memorialized -- as victims?? It's a bit like building a memorial for all the victims at one of Pol Pot's Cambodian death camps and insisting this include the names of murderous guards that committed suicide after they'd killed everyone. Jim Jones, Jr., on the other hand, is convinced he has the final word on the matter. What is recognizable here is that this is both ridiculous, irrational, and an insult to those that don't suffer from cult apologist think. But that's just exactly what Jim Jones, Jr., Becky Moore, and the rest of their cult apologist group have planned for their rival memorial at Evergreen Cemetery. They might just as well erect a "To Die For!" 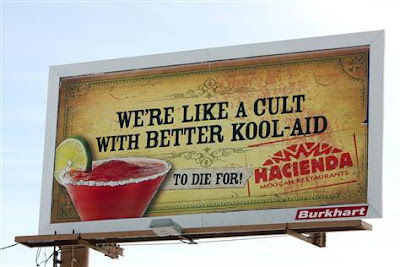 Hacienda billboard while they're at it. Will the real victims, at long last, ever be left to rest in peace? I've been reading and watching videos to find out what happened that day. I was always led to believe these people just drank the poison voluntarily, but since doing my own research have uncovered the truth, they were murdered. Those tapes are so hard to listen to, but necessary if anyone wants to know the truth. I also listen to the tapes that were recorded about 6 months prior to the murders. 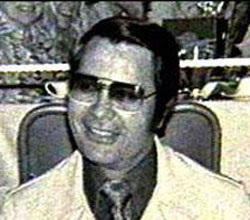 I have found out that Jim Jones JR, and Stephan Jones were willing participants in their Father's evil deeds. We hear Stephan Beating someone, Jim Jr berates people whenever he can. It sure didn't fall far from the tree did it?